The Breeders’ Cup Juvenile is a thoroughbred horse race pits the best male two-year-old dirt runners in the world against each other on a track that stretches just over a mile to find who is the best. The race is held every year between late October and earl y November at racetracks across the United States and Canada. Often, the race has worked in producing strong favorites for the next edition of the Kentucky Derby. On this page, we have a look at the odds and bets surrounding the Breeders’ Cup Juvenile race every year. How are Breeders’ Cup Juvenile Odds Worked Out? The odds for the Breeders’ Cup are worked out through the use of the Parimutuel betting system, in which all bets are used to create a larger pool of cash. Bookies then calculate odds based on the pool of cash and how popular a particular horse is with bettors. This is after the vig has been calculated. Using such a method to calculate odds means that the payout on a horse that nobody seems to be betting on could be absolutely enormous. 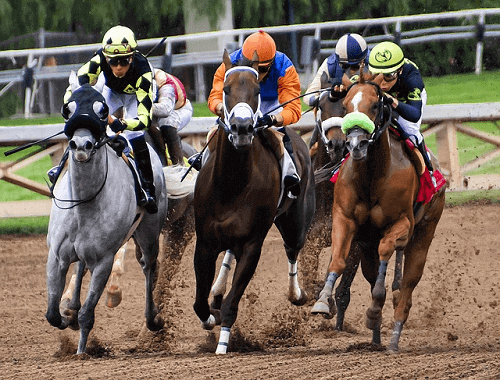 As odds continue to fluctuate over time, it will be difficult to pinpoint the exact odds of a particular horse until right before the actual race. Ironically, horses that have been pegged with goods of winning often don’t land up winning in the Breeders’ Cup. In fact, only one horse has won with odds set at 10-1 or higher in the race’s history. Although foreign horses from foreign breeders do enter the Cup from time to time, the Juvenile race has mostly been won by American horses in the last 20 or so years. Juvenile races tend to be close to the wire. Thus, when picking a horse try to make sure that you select one that can take the distance. We recommend having a look at horses trained by breeders such as Doug O’Neill, Todd Pletcher and Bob Baffert. The Breeders’ Cup Juvenile race has often been the opening stage for some of the brightest stars within horseracing. This fact does make for some very exciting betting opportunities. Overall, the Breeders’ Cup is a fine place to make some bets on amazing horse races.